Empties #14 - Cherry Colors - Cosmetics Heaven! 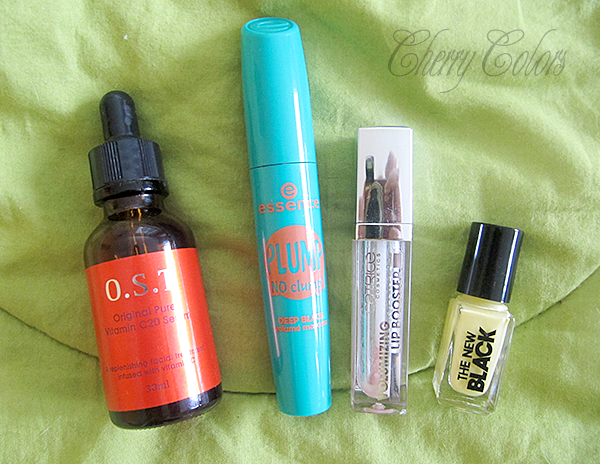 Today I got a short Empties post, from the latest used up products. When I can't find a better lip balm, I get this. It's moisturising and comes in different flavours. So far so good! Floss is a staple in my inventory (well, duh) and I am looking for the next best thing. I liked this one Okay, but when I repurchased it, it started breaking on me? When I floss. It's terrible :/. I heard that those mini inter-dental brushes are the next big thing, so I must stock up on them. Repurchase? Maybe, a different kind. 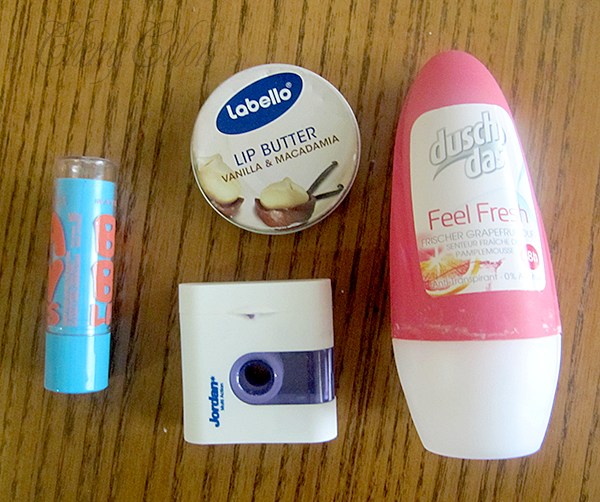 I am using labello products since I was a teenager. Maybe a little sooner, and this is a product I purchased after many years of staying away from it (I was trying some different brands). And I must say, I love it! It may be unhygienic, but the scent (to me, it reminds me of Kinder eggs) is gorgeous, and also the hydrating properties. I loved these small inexpensive deodorants a while (couple of years) ago. They always had an arrangement of different scents, they didn't irritate my sensitive skin and smelled nice after many hours. Now it works just as fine, and I can see my next trip to Muller will include these. You can read the review of this product, here. I did like it, because it helped to clear up my skin tremendously. Essence mascaras are a hit or miss for me. Most of them work well enough with my lashes, but some make my eyes water (and burn). So I am always a little bit cautious when using them. And I also prefer waterproof versions - because of the watering of the eyes and most of WP mascaras are.. well, a miss. But I think this one was OK. Not extremely great, but OK. It wasn't what I expected it, the formula was a bit on the dry side, to be honest. And there was no volume :(. I am not a fan of lip glosses, but I totally made an exception for this one. I got it in my goodie bag from Essence. And I used it daily when I was sitting in front of the pc and needed a lip balm. This lip gloss is extremely moisturising and mildly sticky. It contains mint so a slight tingly feeling is in order, and then your lips look a bit pumped. The applicator is also great, soft and bendable and just the way I like it. Amazing stuff! I swatched this polish here, and I am not a fan. I like how they have themed packages, but they are way over the top (expensive) when it comes to price (30€+). Wasn't easy to apply and took a long time to dry. This is it for today, have a lovely day ;)!